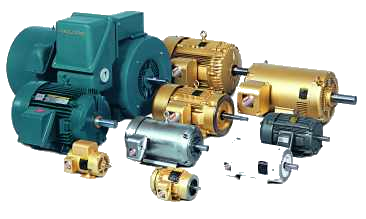 A.C. and D.C. motors in stock to cover many of your needs. Authorized Distributor AND Warranty Repair shop for most major manufacturers. Online access to manufacturers stock for immediate inventory check. Inside Sales and Field Sales Engineers available to assist in product selection.